Istambul, CIRCA June 2016. Istambul Gokcen International Airport: An Airplane moving after landing. Beside, planes waiting on track. Pegasus Airlines. hd00:14Istambul, CIRCA June 2016. Istambul Gokcen International Airport: An Airplane taking off. 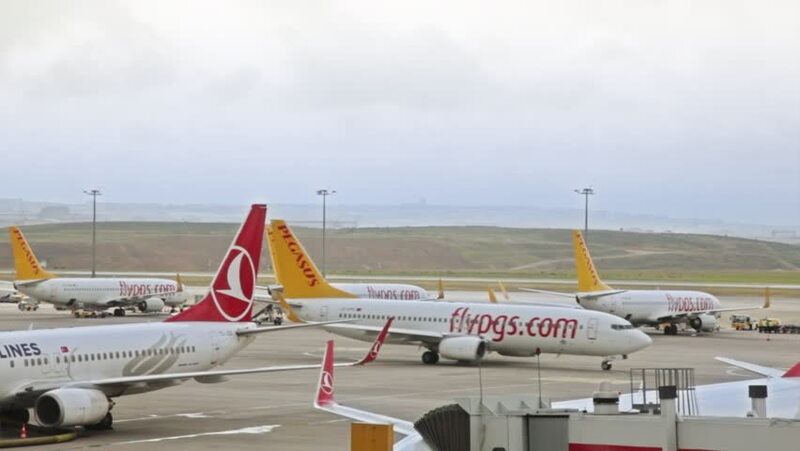 Planes waiting on track in the foreground 02. Pegasus Airlines. hd00:13KUALA LUMPUR - July 31, 2015: view of Garuda Airlines (Indonesia) airplane activity in Kuala Lumpur International Airport & plane take off in the background on July 31, 2015 in Kuala Lumpur Malaysia.